Here is how to login to www.nigeria-mmm:net Login is MMM Official website in Federal Republic of Nigeria where uses provide help for people solve their problems and in turn make money of up to 30%. New users can earn up to $20, $50 and $100 for $200, $750 and $1000 help provided. 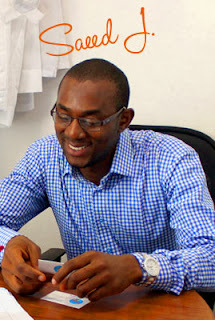 www.MMMOffice.com – MMM Nigeria Login to MMM Office – Here how to log into your MMM office and perform MMM related tasks that on www.mmmoffice.com. Why Do I Need To Write Business Plan? Starting a new Business: For your new company to have all the quality it deserves in the business profile. A good business plane is supposed to have in detailed all the equipment needed in running the business, so as to help you keep in record things that you've already gotten and the ones you still need to get. This helps in making the early stage of your business stress free. The Youwin governing board has announced the release of the final result. This youwin program which kicked off on the late ending of the last year 2013 has been finally concluded. This federal government initiative to help reduce the rate of unemployment in Nigeria has been helping thousands of people across the six Geo political zones which we have in Nigeria. To lunch an annual business competition for young Nigerian business men and women to meet up with the federal government plans to create more jobs, for the ever increasing population. Always note the the generally youwin website. Africa today is as a word of shaken belief and changing values. There is a total distortion of the values of Africa. These changing values being witnessed presently in African societies has brought about crises of value, which has besieged every aspect of the African life. A cursory examination of the African society shows a disintegration of her value system, which is clearly evidence in cases of moral decadence. A new and foreign value, which has permeated into our society through education, religious, social and political interaction, have brought about crises of values. Nigeria for instance, in the past few decades has witnessed this socio-cultural change with profound impact on its values, beliefs and customs broken by modernity. The youths are faced with conflicts in value orientation in the face of violent clash between traditional values and modern values. Youths often times want to discard the old African traditional system but in most case, there is sufficient confusion and lack of value clarification which makes the victims (youths) to suffer value crisis. This invariably makes it difficult for them to pattern their lives after traditional or foreign values. For the youths to be saved from the clutches of crisis of values system, they need help in value clarification to make realistic decision. 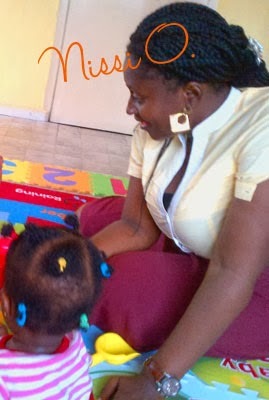 Unfortunately, a large number of young people do not have access to such professional assistance. From this stand point however, this paper takes a look at the dimension of these changes. It concisely explain the concept of values in Nigeria, the dilemma of the crisis and finally anchors on value clarification approach as a viable strategy for the reconstruction of African cultural studies. Analysis brought to light is that every society based on its historical evidence; demand a reconstruction and rewriting of the whole. youwin application form guild just Follow this easy step to Register for Youwin Application. Make Sure you are Qualified to apply. You must be A citizen of Nigeria not older than 45 years of age. Your Proposed Business must be in Nigeria and the workers to be employed must be Nigerians. You Must prepare a good business summary about the business you wish to venture into. The Next Step After Checking for you eligibility is to Register on there Website for youwin application 2013. Log on to https://apply.youwin.org.ng/registerp.php and fill in all the required Details and please make sure you apply with a working email address. After registering you will recieve a confirmation email form Youwin application server with the details you need to login. If you are done with that Login Here. 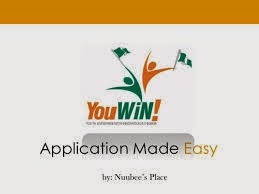 The Third Step is to complete the Youwin application form. Once you have login successfully Click on the New business Application that is by the right of the screen. You can save you application form and come back latter to submit if you are not yet satisfied with the application . Submission Of YouWiN! 3 Concept Note has been Extended till 31/01/2014!!! I can’t say it is a privilege to give you interpretation on this YouWiN 3 inquiries and the answers. Youwin 3 inquiry is mechanically distinct from the previous ones but you just need to provide the identical response in a shorter pattern. In Youwin 2 you can response the same inquiries with smallest of 150 phrases and maximum of 250 words but now everything has been decreased to 50 phrases. You could use less words but not more than needed. In fact, the website will not permit you to save and/or submit your submission if you have exceeded the greatest number of words. When composing your plan, make it easy and very simple to comprehend. This is because you are not going to be present at the first section that will review it. It is just like you submitting your CV for Job pursuit. The answers for some of the key inquiries are very short. Just 50 phrases and you need to give facts and numbers and not article, but how to do that becomes a difficulty. That is the cause why this book called allocate victorious Workbook is in your hands now. Don’t rush to summit your design, one time you are through with it, give it to one or two professionals to help you computer display and reconsider your business plan before you submit. You will win this accolade not because you are the 1st to submit but because you compose a good, exclusive, innovative and irresistible enterprise plan. The persons that will assess this competition are looking for exact things in your enterprise design. If they find it, you will go in the next stage. If not, you are out of the affray irrespective of your industry. All these things are what we will discuss here. I will explain this YouWiN! 3 inquiries to you founded on my know-how of writing it since YouWiN! 1 through YouWiN! 2 where we increased 4 millionaire victors and now YouWiN! 3. Our target for YouWiN! 3 is to lift 100 millionaire victors. Let me give you this sign, the inquiry we are about to interpret is a abstract of YouWiN! 2 stage 2 business plan. This is more mechanical. We all discovered this ability of composing which has made our academy to raise 4 millionaires in YouWiN! 2. I accept as true you too can discover from this allocate Winning Workbook. After the interpretation, you will see a sample that you can use to compose for any commerce you desire to explore. No1 direct: You should be very huge in your locality of enterprise if you will compose this enterprise design well. No2 direct: You should strictly adhere to the number of phrases you are notified to use. I suggest you exact replicate the inquiries into Microsoft phrase and answer it in phrase format and do exact replicate and paste online and submit. The first inquiry you need to answer is to recount your enterprise and to choose what industry part your enterprise belongs. response: notify us if it is a new business or living business. e.g . 1. My enterprise is poultry enterprise. It is an living enterprise. 4. ABD ovenbaking is a diet baked bread making business. It is a new business to provide loaves for people on diet. -What advantages of the merchandise or service enables your business to stand out from your competitors? ANSWER:You need to tell us your product and services, the benefits, and what makes it better than your competitors. Find more minutia on this on the experiment design underneath. -Does this meet a particular need or demand (your comparable benefits, if any)? ANSWER:Tell us the problem you are explaining with your enterprise. Why do people desire to purchase from you? -Name five of your living or expected peak customers. How will you appeal these customers to your point of sale? ANSWER:You should tell us genuine clientele that will patronize you and give us ways you will reach out to them. distinct industries have their own peculiarity of how to market their products and services. That is why you must realise your commerce. 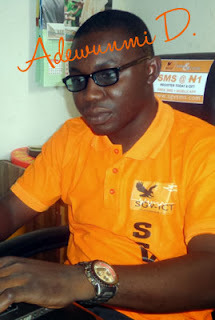 The major aim of this affray is to conceive jobs in Nigeria. So, your business must be capable of supplying sustainable jobs in order to win this affray. Most of the present YouWiN awardees own enterprises that are using close to 10 new workers on the average. You should factor this into your general business design. -How many new, full-time (or matching) staff will be engaged in the enterprise 12 months from receiving the first stage accolade? ANSWER:If your enterprise can only provide work you solely, then you are on your own. It is obvious you will not enter the next stage. Numbers between 10 and 15 is ok. But make certain is very sensible. ANSWER:You need to notify us how many years of know-how you have in your area of enterprise. Note this; if you don’t have any know-how in your chosen enterprise, you may not entre the second stage. I will favour to give my cash to somebody with know-how than somebody with no know-how. Tell us the requirement and know-how of suggested people that will work with you if you win. You must not exceed 50 words, hope you recall. Summary is the key word here! This part will test your information of the enterprise you are proposing. Each of the inquiries inquired below need a greatest of 50 words. Bear in brain that every business is either trading a product or providing a service. -Name your three biggest existing/expected competitors. Which, if any, have a localized occurrence or distributor mesh? ANSWER:You have to tell us genuine enterprises in your position of your enterprise that will contend with you. You will observe that both living enterprise and new enterprise are loading the same inquiry. It is the way you response it that shows the distinction. notify us the number of years they have existed, if they have a large or little vendor network. -Describe the components you will need to conceive your product or service. Are these components gladly available, at the right cost and amount, in your locality? If yes, delight recount any relevant data. ANSWER:Here, you tell us the diverse materials you will need to make your merchandise and service. That is the reason why you should have commerce understandledge. If you don’t understand the components, you need to go and research. That is why the Solomon of our time live, the google seek engine. Just kind what you want to understand about and in couple of minutes you have it right in your front. furthermore tell us where you can get the components, if it is accessible locally or it is going to be imported. Dangote refinery has projected that Federal Republic of Nigeria would be the quantity one producer of sugar in Africa, because it plans to ascertain 5 new factories to form over a hundred and fifty,000 direct jobs for Nigerians. To actualise this aspiration, Dangote cluster has used a replacement cluster director (GMD) for its refinery whose responsibility is to confirm that production processes ar wiped out Federal Republic of Nigeria. Before now, Dangote refinery sourced its raw materials from Brazil. The new GMD, Graham Clark, at his unveiling aforesaid the corporate would pop out with the savannah refinery in Adamawa State by resuscitating its sugar cane plantation. He noted that Federal Republic of Nigeria has potentials in agriculture, that Dangote Sugar intends to take advantage of by developing immense sugar cane plantations, that is that the major stuff for sugar production. “We need to vary the model of our production by making certain that we've got our huge agriculture sugar cane plantation, establish our manufacturing plant and do everything here. this can cut back the interchange spent on importation of raw materials from Brazil as we tend to do presently,” he said. Clark, a former chief government of Elova Sugar cluster in African nation, the biggest sugar producer in Africa, aforesaid he came to Federal Republic of Nigeria to rework Dangote Sugar into a first company that might supply potentials for various teams of the society. With a background of over thirty years in sugar production, the Zimbabwe-born Australian aforesaid he's in Federal Republic of Nigeria to translate the dream of the cluster Chairman, Alhaji Aliko Dangote, UN agency believes that Federal Republic of Nigeria can be a number one producer of sugar within the continent. The centralized yesterday conferred 2014 Federal Government budget proposal of N4.6 trillion for the 2014 financial year to the National Assembly. The projected budget christened ‘Budget for Job Creation and Growth’ represents N100 billion reduction from the N4.7 trillion that was budgeted for this year. Capital expenditure is projected at N1.1 trillion representing twenty seven.29 per cent, down from thirty one.9 per cent within the current year. The reduction in cost was attributed to hyperbolic allocation to pension and high wage bill. The N4.6 trillion expenditure is to be supported from budgeted revenue of N3.37 billion, whereas the balance can return from N571 billion debt. BUDGET 2014: Minister of Finance and Co-ordinating Minister of the Economy, Dr. Ngozi Okonjo-Iweala giving birth the 2014 Budget Proposal before the Senate in capital of Nigeria, yesterday. Photo: NAN. The budget is predicated on oil value of $77.5 per barrel and crude production of a pair of.38 million barrels per day(bpd) with a median rate of exchange of N160 per dollar. The budget was conferred by the Minister of Finance and Co-ordinating Minister for the Economy, Dr. Ngozi Okonjo-Iweala United Nations agency painted President dessert apple. although she didn't clarify of the budget and therefore the quantity for the continual expenditure, highlights of the projected budget were but later free by the Ministry of Finance. 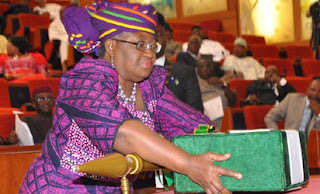 Speaking to Journalists once presenting the budget, Dr. Okonjo-Iweala aforementioned that the mixture expenditure of N4.6 trillion excludes the grant Reinvestment Expenditure Programme, SURE-P.
She said, “I felt terribly privileged, it’s associate honour that man. President has asked Maine to hold out this task in conjunction with my colleagues within the cupboard, and in fact, the Director General of the Budget workplace supported Maine to do this nice honour. “This budget is that the take into account Job Creation and Inclusive Growth, which means that it’s a budget which is able to continue the President’s transformation agenda for many sectors of the economy. The budget goes to support the push in agriculture. “It can kick-start the housing sector wherever we tend to will produce a lot of jobs, it's designed for our policies that might support producing as a result of jobs would be created there. Industries can conjointly be created in solid minerals sector. of these support can still be unleashed. Job creation is that the key to actually solving the issues of the Nigerian economy. The Minister explained that the identifying feature between the 2013 budget which of the 2014 budget was the main target the govt had in continuation of the 2013 budget particularly on the world of job creation for the youths and secure that the govt wasn't about to soften in pushing forward. The Minister more aforementioned that the govt would pursue smartly infrastructural development. “The infrastructure development is an element of it, the Hon Minister of Transport is here, we've got been functioning on rail development. Ministry of Niger Delta is additionally a part of the infrastructure development, Water resources, FCT development so on. *Total deductions, together with price of crude production, grant payments, and domestic gas development is N2.15 trillion, same as in 2013. *Subsidy payments were maintained at the 2013 level of N971.1 billion. *INEC’s expenditure is to extend from the N32 billion provisioned in 2013 to N45 billion. this can be to change the Commission intensify preparations towards the 2014 elections. *National Assembly’s allocation is to be maintained at the 2013 level of N150 billion. *The provision for debt service is N712 billionfrom the 2013 level of N591.8 billion. *Personnel price hyperbolic slightly from the 2013 change Budget provision of N1.718 trillion to N1.723 trillionfor 2014. 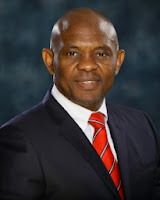 Here is the biography of Tony OnyemaechiGF Elumelu (born March 22, 1963) the man who made$123 Million In 3 Weeks is a Nigerian economist, banker, investor and philanthropist. Elumelu is head person of Heirs Holdings, a pan-African proprietary buying into business with interests in strategic sectors of Africa’s economy. He is furthermore the founder of the Tony Elumelu base, an Africa-based and African-funded not-for-profit organisation (NPO) that is dedicated to the promotion and commemoration of excellence in enterprise leadership and entrepreneurship across Africa. Elumelu holds the Nigerian nationwide respect, the Commander of the alignment of Nigeria (CON). New African magazine lately recorded him as one of the 100 most influential persons in Africa. Elumelu was born in Jos, Nigeria, in 1963. He has two degrees in Economics from Nigerian schools. His Bachelor degree was from Ambrose Alli University and he has a expert of research degree, furthermore in Economics, from the University of Lagos. He is an alumnus of Harvard enterprise School’s sophisticated administration events. Tony Elumelu wed Awele V. Elumelu, a health medical practitioner, in 1993 and has five daughters. He has four siblings encompassing the Hon. Ndudi Elumelu, a constituent of the Nigerian government House of Representatives. In his early vocation, Elumelu made a name for himself when he came by and turned benchmark believe Bank into a top-five contestant in Nigeria. In 2005, his business reputation as an African Business foremost was closed when he led the largest amalgamation in the banking part in Sub-Saharan Africa to come by joined Bank for Africa (UBA). In five years he transformed it from a single-country bank, to a pan-African institution with over 7 million customers in 19 African countries. Following his retirement from UBA in 2010, Elumelu founded Heirs Holdings, which buys into in the financial services, power, genuine land parcel and hospitality, agribusiness, and healthcare parts; all of which help to conceive financial prosperity and social wealth over the countries. In the identical year, he established the Tony Elumelu base, an Africa-based and African-funded, philanthropic association dedicated to the promotion of excellence in enterprise authority and entrepreneurship, to enhance the competitiveness of the personal sector over Africa. In 2011, Heirs Holdings acquired a controlling interest in the Transnational Corporation of Nigeria Plc (Transcorp), a publicly quoted conglomerate that has business interests in the agribusiness, energy, and hospitality parts. Elumelu was subsequently appointed Chairman of the company. Elumelu serves as an Advisor to the USAID’s personal Capital Group for Africa (PCGA) Partners Forum. He is seated on the Nigerian President’s farming Transformation Implementation assembly (ATIC). He is furthermore Vice-Chairman and a key person driving in the formation of the nationwide Competitiveness Council of Nigeria (NCCN), and serves as Co-Chair of the Aspen Institute Dialogue sequence on international Food Security. He additionally seating the Ministerial managing group to set up world-class hospitals and diagnostic centers over Nigeria, at the request of the government Government. Following his retirement from joined Bank for Africa in July 2010, Elumelu founded The Tony Elumelu base. His stated target was to “prove that the African personal part can itself be the primary generator of financial development.” The base is ascribed with the objective of going by car Africa’s financial development by enhancing the competitiveness of the African personal part. As a premier pan-African-focused not-for-profit institution,the Tony Elumelu base is dedicated to the promotion and commemoration of entrepreneurship and excellence in enterprise authority across the countries. The base strives to deploy its resources to develop solutions to trials that inhibit the development of the African private part. Through its firm pledge to catalytic philanthropy, the Tony Elumelu Foundation hunts for to accomplish its objective by enhancing the capacity of African enterprises, carrying and driving principles that encourage competitiveness, establishing economic capital through influence investments, and educating public and private part actors through rigorous study. In 2003, the government Government of Nigeria granted Tony Elumelu the name of constituent of the alignment of the government Republic (MFR), a national honour. In 2006, Elumelu was voted African enterprise foremost of The Year by the Africa shareholder publication and was identified African Banker of the Year in 2008 by the African Banker magazine. In 2009, the Nigerian President Umaru Musa Yar'adua asked him to serve on the Presidential Committee on the Global economic Crisis. Elumelu contributed an article to the publication How to Excel at Work - Proven schemes for accomplishing better work performance by Bili A. Odum. He furthermore assisted to the Nigeria authority Initiative White Papers, composing on Leveraging private sector approaches in transforming government delivery. The Power of dream: Insights on Tony Elumelu is a testimonial amassed on the occasion of his retirement as assembly Managing Director/Chief boss agent at the joined Bank for Africa. It comprises notes from Aliko Dangote, previous Nigerian President Olusegun Obasanjo, lecturer Michael Porter, previous World Bank organising Director and Nigeria’s Minister of investment Ngozi Okonjo-Iweala, President of Sierra Leone; Ernest Bai Koroma, previous joined States Comptroller of the Currency Eugene Ludwig and Sanusi Lamido Sanusi, Governor of the centered Bank of Nigeria. It’s just paper gains, but it counts. Nigerian banker Tony O. Elumelu has become at least $123 million richer between November 1 and November 21 as shares of Transcorp PLC, a Nigerian-Stock Exchange-listed conglomerate, surged 186% in that period. Transnational Corporation Of Nigeria, usually referred to as Transcorp, is an emerging conglomerate holding investments in hotels, power and agriculture. On November 1, the company’s stock was trading at N1.87 ($0.01), and at the close of trading today (Thursday), the stock was trading at N5.35 ($0.03). According to an analyst who did not want to be quoted, there has been an unprecedented demand for Transcorp’s shares at the bourse on account of the company’s recent acquisition of the Ughelli Power plant, a strategic power generation company that the government recently sold in a privatization exercise. Transcorp PLC, under Elumelu’s leadership, acquired the plant for $300 million. Transcorp officially took over the plant on November 1. Investors are scrambling for the stock in anticipation of the long-term impact the new acquisition will likely have on Transcorp’s financial results. Elumelu began gobbling up shares in the company in April 2011 through his wholly-owned proprietary investment vehicle, Heirs Holdings. In September 2011, he was appointed chairman of the company, promising to diversify the company’s business interests and deliver value to shareholders – promises he seems to have delivered on. He currently owns over 5.7 billion shares of the company (5,745,890,693 to be exact, according to Transcorp’s latest corporate filings), held in his own name and via Heirs Holdings, equating to a 22.26% stake, making him the company’s largest individual shareholder. His shares in Transcorp alone are now valued at N30.7 billion or $188 million. A representative for Elumelu could not be reached for comment at press time. Elumelu made his fortune by acquiring a small, struggling Nigerian commercial bank and building it into the United Bank of Africa Group, a leading financial services institution with operations in several African countries as well as in New York and London. He stepped down as the bank’s CEO in 2010 to focus on investing in African businesses through his private investment vehicle, Heirs Holdings and to groom Africa’s next generation of business leaders through his Tony Elumelu Foundation. As a result of our vision to raise 100 millionaire young entrepreneur winners from the YouWin 3 business plan competition, we have packaged these questions to help as many young people who are willing to take and maximize this opportunity. If you’re planning to apply for this year’s YouWIN! Business Plan Competition, it is important that you start preparing your answers ahead of time. Submission of the business plans will commence on November 25, 2013 with the presidential launch. The first stage of the YouWiN! 3 Business Plan Competition only requires that you submit a concept note for your business idea. The YouWiN! 3 Business Plan Competition concept note is not as elaborate as a business plan. You only need to answer a few basic questions that will help the committee decide whether they should read your full business plan. Note the number of words you are expected to use in answering the questions asked. You could use fewer words but not more than required. In fact, the website will not allow you to save and/or submit your application if you have exceeded the maximum number of words. In a way, this is both beneficial to you and the committee. You are forced to summarize your business idea as much as possible; and the committee is able to evaluate all business concepts in the shortest time available to decide winners. The first question you need to answer is to describe your business and to select what industry sector your business belongs. -What benefits of the product or service enables your business to stand out from your competitors? -Does this meet a particular need or demand (your competitive advantages, if any)? -Name five of your existing or expected top customers. How will you attract these customers to your point of sale? The main aim of this competition is to create jobs in Nigeria. So, your business must be capable of providing sustainable jobs in order to win this competition. Most of the current Youwin awardees own businesses that are employing close to 10 new employees on the average. You should factor this into your overall business plan. -How many new, full-time (or equivalent) staff will be employed in the business 12 months from receiving the first stage award? This section will test your knowledge of the business you are proposing. Each of the questions asked below require a maximum of 50 words. Bear in mind that every business is either selling a product or providing a service. -Name your three largest existing/expected competitors. Which, if any, have a localized presence or distributor network? -Describe the materials you will need to create your product or service. Are these materials readily available, at the right price and quantity, in your locality? If yes, please describe any relevant information. -Is there an existing or expected lead time for manufacture, set-up, harvest or breeding? If yes, give estimated lead times for each product. -What risks or challenges might affect the success of your business, including: licences and accreditation (what can stop you from making this business a success)? How will you reduce or mitigate these risks? -When do you expect to achieve this (how many months after receiving your first grant award)? 6. How Much Money Do You Need? You can ask for a minimum of N1m and a maximum of N10m. Whatever amount of money you’re asking for, you should be able to state clearly what you will be spending the money on. Be advised that you can only submit one application to YouWIN! ; and you won’t be able to edit it, once submitted. So, you should Save For Later use as you go along to avoid losing your data and then Submit Completed Application to YouWIN! when you are completely satisfied with the content of your application. This part is very important so make sure you don’t make mistake here. Don’t forget to check the box to your left hand side to agree to YouWIN terms and conditions. All right! There you are! Those are the questions you should expect to answer in the first stage of the competition. You can start practicing them and getting your answers ready before the competition begins and wherever possible, get professional advice.